The beautiful new Rapunzel tower and restrooms have been revealed to us in New Fantasyland. It sounds crazy to say it but this facility is really a great new addition to the park and is becoming an attraction in itself. If you aren’t familiar with the subject, please click HERE to read archived Disneyways posts. You’ll want to scroll all the way down and begin with the last post to read them in chronological order. Recently I stumbled across some new information and thought you might be interested in reading it. I would love to hear your thoughts. The following has been re-posted from JimHillMedia.com, and the opinions expressed belong soley to Jim Hill. “The best laid plans of mice and men often go astray.” This oft-quoted line from Robert Burns’ 1785 poem applies to an awful lot of aspects of modern day life. 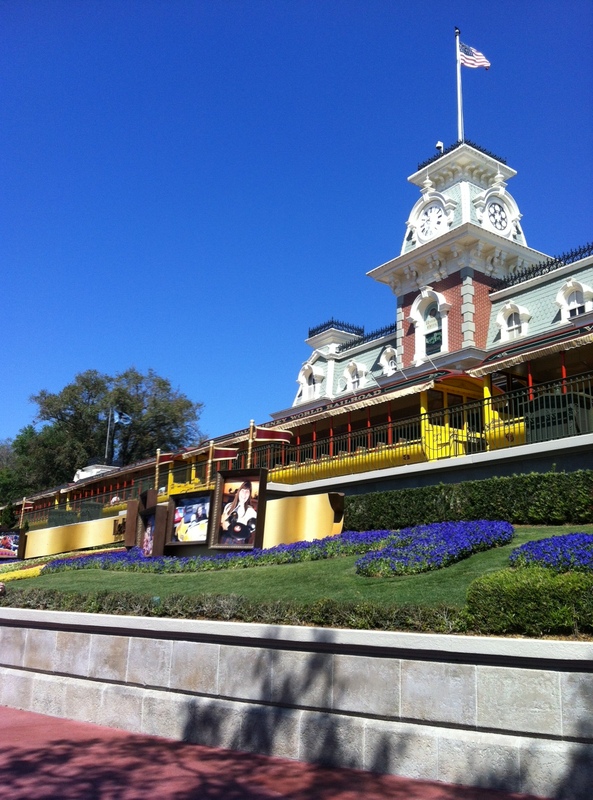 But none more so than the work that’s recently been done in & around WDW’s Magic Kingdom Park. Take — for example — that “Tangled” -themed rest area that recently came online in Fantasyland. Even before this elaborately themed set of bathrooms were officially open to the public, some of the Mouse’s more vocal online critics were using this pair of potties as an excuse to once again go after Team Disney Orlando. Complaining about how ridiculous / wasteful it was for The Walt Disney Company to devote this much time, money and effort to theming a set of restrooms. But here’s the thing: You know that area off to the left of the Rapunzel restrooms? Just past the “D-Zone” with its 6 charging stations where WDW Guests can now recharge their Droids, iPhones and other electronic devices for free? Did you notice that walkway alongside the garden that kind of leads to nowhere? Which features this beauty spot where Rapunzel’s tower is in the background and a small waterfall is in the foreground? Doesn’t it strike you odd that the Imagineers would go to all the trouble of creating such a pleasing visual in a part of the Magic Kingdom where few Guests would ever venture? If you spent all of this time & money creating such a beautiful “Tangled ” -themed backdrop, wouldn’t you then at some point actually want to use it? Well, that was the original plan, folks. This exact spot was where WDW visitors were supposed to go if they wanted to have their pictures taken with Rapunzel & Flynn Rider. Until Sorcerers of the Magic Kingdom became too popular and then the My Disney Experience program fell behind schedule. Which is what causes the Imagineers to deviate from their original plans for this portion of that theme park. Because — make no mistake, people — The Walt Disney Company knows all too well how popular the “Tangled” characters are with the public these days. Going strictly by retail sales, Rapunzel is the most popular Disney Princess to be introduced in decades (She’s right up there — from a merch point of view — with The Little Mermaid . And Ariel dolls been consistent sellers with little girls for almost a quarter of a century now). Which is why — in the late Summer / early Fall of 2011 — when word came down from Disney’s corporate headquarters that Rapunzel & Flynn Rider were going to have to vacate Fairytale Garden (You know? That elaborately themed character meet-and-greet area located just to the right of Cinderella Castle) so that Princess Merida of Pixar’s “Brave ” could then move in in the Spring of 2012 … Well, that caused some real consternation both at WDI as well as inside of WDW’s Character Department. Meanwhile, the people who were prepping the My Disney Experience / MagicBands program for the theme parks realized that there were going to be a certain number of Guests every day in the Parks who weren’t going to have their Smart Phones or Droids with them OR were going to leave these electronic devices at home or back in their hotel rooms. Which meant that if these WDW visitors were looking to modify any of the ride times and/or dining reservations that they’d previously made, these people were then going to have to have access to some sort of My Disney Experience kiosk which would allow them to then make modifications to these reservations. So the plan (at least far as the Magic Kingdom was concerned) was that there’d be initially be two sets of these kiosks built. One would be located towards the front of that theme park in the Town Square area of Main Street, U.S.A. While the other would be built deep inside of that theme park. To be specific, inside of the then-vacant Crow’s Nest storefront that Kodak used to operate in Adventureland just past Pirates of the Caribbean. But then Sorcerers of the Magic Kingdom debuted in February of 2012. And given how wildly popular this new interactive role-playing game quickly proved to be with WDW visitors, the managers of that theme park immediately decided that they needed a second interactive role-playing game to take some of the heat off of Sorcerers (More to the point, cut down on the number of 5-and-10-person-deep lines which were popping up all around the Park. Where Guests were patiently standing with their Sorcerer Key Card & Spell Cards in hand, waiting for their chance to do battle with various Disney Villains). Which is why the “A Pirate’s Adventure: Treasures of the Seven Seas” interactive role-playing game was brought online. The only problem with this MK-based project was … Well, just as Disney World Guests needed a specific place inside of that theme park to go in order to sign up to play Sorcerers of the Magic Kingdom, get issued their first set of Spell Cards and their Sorcerer Key (which — in this case — was inside of the Old Firehouse on Main Street, U.S.A. as well as behind the Ye Olde Christmas Shoppe in Liberty Square), “A Pirate’s Adventure: Treasure of the Seven Seas” was also going to need a headquarters / base-of-operations. Which Magic Kingdom managers eventually decided would be built inside of the Crow’s Nest. And once that decision was made, the dominos began to fall all over that theme park. Since the Crow’s Nest was no longer available to house those My Disney Experience kiosks that WDW felt had to be located deep inside of that theme park … Given that an area where people could line up had already been designed into the site plan for the “Tangled” rest area, Magic Kingdom managers decided to move the location of those deep-in-the-park My Disney Experience kiosks over to this corner of Fantasyland. So they ordered that the necessary electrical & interactive terminal changes be made to the Rapunzel restrooms construction plans. The only problem with doing that was now Magic Kingdom managers were concerned that if they had two lines going back in this corner of that theme park (i.e. one for Guests looking to change ride times & dinner reservations, while the other line was for people looking to get their photographs taken with Rapunzel & Flynn Rider), someone might then get confused and accidentally get on the wrong line. Which might then lead to a bad Guest experience. Which is something that Disney World always tries to avoid at all costs. So — to prevent this from happening — Magic Kingdom managers decided to put the idea of having a Rapunzel & Flynn Rider meet-n-greet as part of this theme park’s “Tangled” -themed rest area on hold for a while. At least until the My Disney Experience program was up & running and WDW Officials could then gauge how many Guests were actually going to need access to interactive kiosks in order to make changes to their previously booked ride times and/or dining reservations. Now never mind that the Imagineers had already planned to plant a colorful garden alongside the area where WDW Guests were supposed to stand & wait for their chance to meet-n-greet with Rapunzel & Flynn Rider. Or that — in order to help people pass the time as they stood in line — WDI had plans to hide Pascal statues all over that garden so these Disney World visitors could then search for this tiny chameleon while they waited. Mind you, even though the Rapunzel & Flynn Rider meet-n-greet was now on hold, the Imagineers still went ahead with the construction of that garden and its “Hidden Pascal” decorative program. All with the hope that Magic Kingdom managers might eventually change their minds about this planned character greeting area for Fantasyland. And if they did, then all of the necessary supporting elements for a successful queue area for the Rapunzel & Flynn Rider meet-n-greet would already be in place. Confused yet? Wait. It gets better. Because the in-park launch of My Disney Experience is now running months behind schedule, Magic Kingdom managers have now decided to put off their plans to install any of those interactive kiosks where Guests could then go to change their ride times and/or dinner reservations. But since this corner of Fantasyland is now wired to support computers and other electrical devices … Well, they didn’t want all of that wiring to go to waste. Which is why WDW officials turned this portion of the “Tangled” rest area into a “D-Zone.” Where — thanks to the 6 charging stations — Disney World visitors can now recharge their electronic devices for free. Now please keep in mind that this “D-Zone” will only remain in place until the My Disney Experience program finally gets in gear again. And once that happens, these free charging stations will then be replaced by those now-delayed interactive kiosks. And speaking of delays … Since My Disney Experience / MagicBands is now running behind schedule, WDW officials have now decided to push back the construction of some of those new Scene Ones which were supposed to be installed around the Magic Kingdom to help handle all of the Guests who will now waiting in longer lines for their chance to experience these newly enhanced Fast Pass Plus attractions. 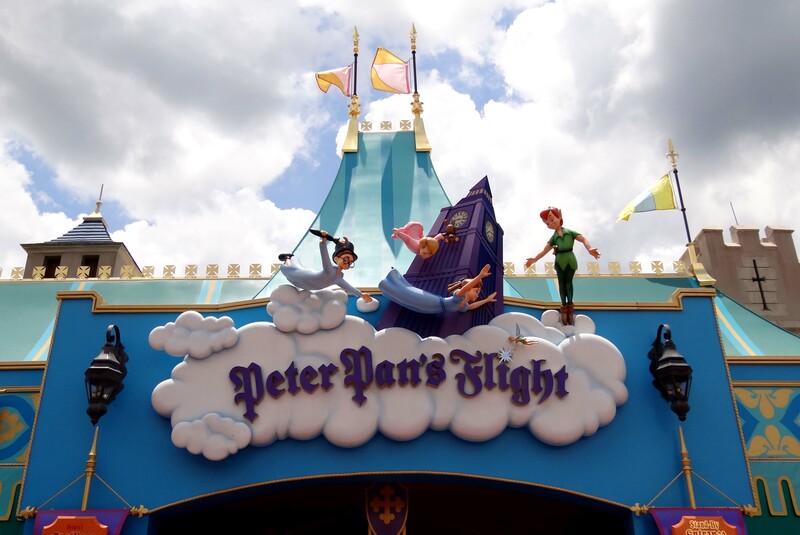 Which is why those bathrooms next to Peter Pan’s Flight (which were supposed to be demolished just as soon as the Rapunzel rest area opened to then make room for a newly expanded queue for this super-popular Fantasyland dark ride) are still standing. Mouse House managers just don’t want to proceed with this particular construction project until My Disney Experience / MagicBands is officially up and running. Which — given that ” … the best-laid schemes o’ mice an ‘men gang aft agley” (FYI: That’s the way Burns — the proud Scott — originally wrote this line in his poem. The “often go astray” translation only came about when this poem was eventually Anglicized) — could be a while yet. March 12th 2013 I was walking through Fantasyland in Walt Disney World. 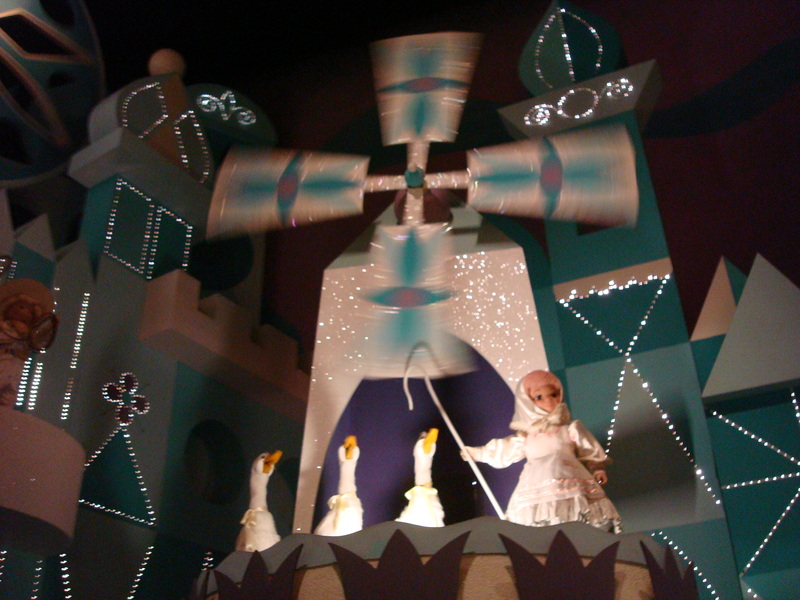 You might be familiar with Pinocchio’s Village Haus, it can be found near the “It’s a Small World” attraction. It is a lovely, newly refurbished counter service restaurant. Ever since the updates have been completed – I tend to walk by this place and stare. It is really, really cool. I like everything about it, including the rainy day activities they have there…but that’s a blog post for another day. This particular evening though, it was already dark out, and as my friend and I walked by we noticed a strange glow coming from the inside. If you are familiar with the portals that you interact with while playing Sorcerers of the Magic Kingdom – this is the sort of glow we saw. In fact we thought maybe it WAS a new portal – but we just couldn’t tell from where we were standing. If you have read the Disneyways post about The Blue Fairy – you are up to speed on my feelings about her. I am definitely a fan, so I was pretty thrilled to find this little hidden gem. I know it’s a bit hard to tell from the photos, but this is a wish book. It appears to be available to all guests who would like to write down a wish for The Blue Fairy. I hope to have more photos for you soon if you are interested in seeing them. I guess because most families are probably in a hurry to eat their flat bread pizza and move on to the next ride, there wasn’t much written down, as you can see. When my friend and I flipped through the pages however, we doubled over laughing at this particular wish. Which in itself is awful, and not really funny. Once the child wrote it however, you can see he or she changed his or her mind quickly – and did a pretty good job of scribbling it out!! That is what was funny to us, just picturing this probably over-tired, grumpy kid scratching that out so nobody would see it. I don’t think he or she really meant it. Perhaps the child took a look around and realized how such a terrible thought really didn’t belong in the middle of the happiest place on earth? Maybe. I am just glad the child changed his or her mind about the whole thing! I’m a parent who is obviously alive and well – so I now have a renewed belief that scribbling out your Blue Fairy wish makes it null and void. No litigation is required. Have you seen this book before? As this post goes to publish – there doesn’t seem to be information on The Blue Fairy wish book anywhere. I don’t know if it’s new or if I just never noticed it before. Anyway – kind of a cool little secret – don’t you think? 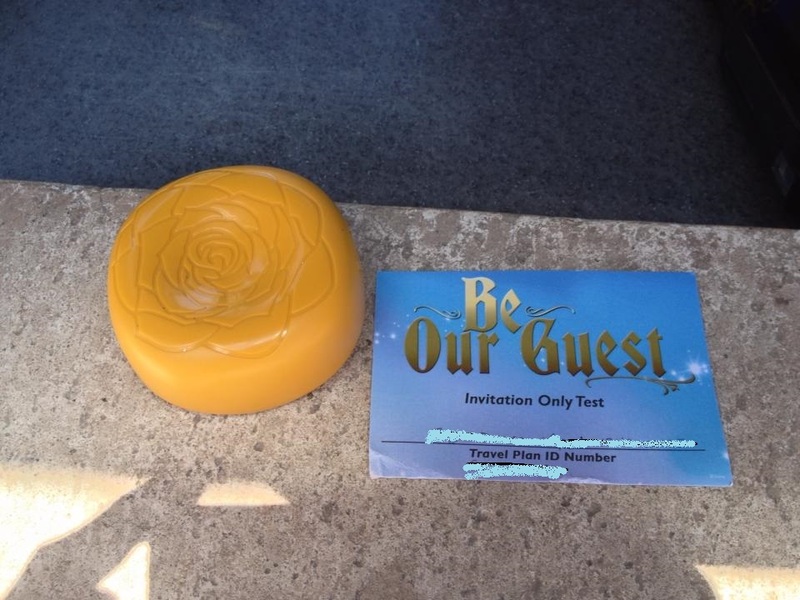 MyMagic+ being tested for Be Our Guest! 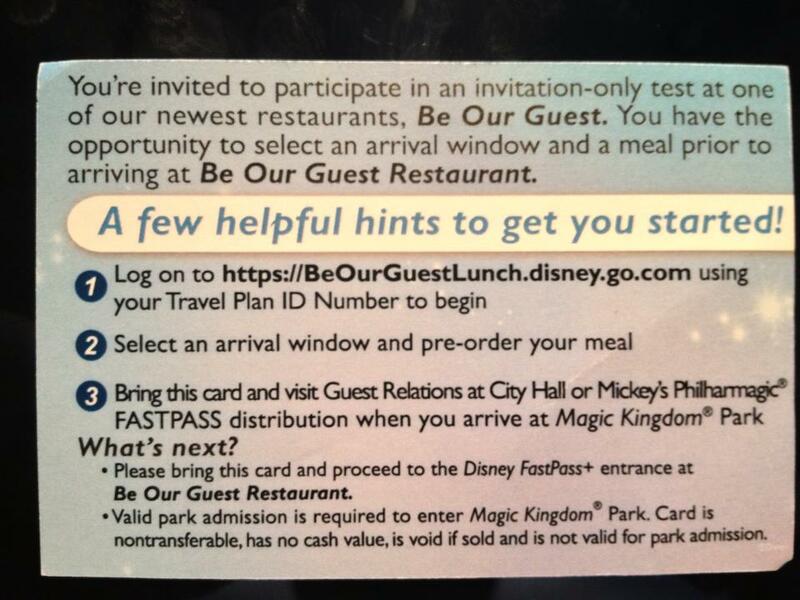 MyMagic+ continues to be tested in a variety of ways at Walt Disney World, there are indications that FastPass+ will even help improve your Walt Disney World dining experiences! Sources are reporting that randomly selected guests at the Wilderness Lodge, Contemporary, and Grand Floridian will receive a FastPass+ card with a specified arrival time for lunch (counter service) at the Be Our Guest restaurant in the new Fantasyland. The window for this trial is very short, lasting only from February 25-28th. Reservations can not be made in advance for lunch, and the lines can get very long for this popular dining facility. 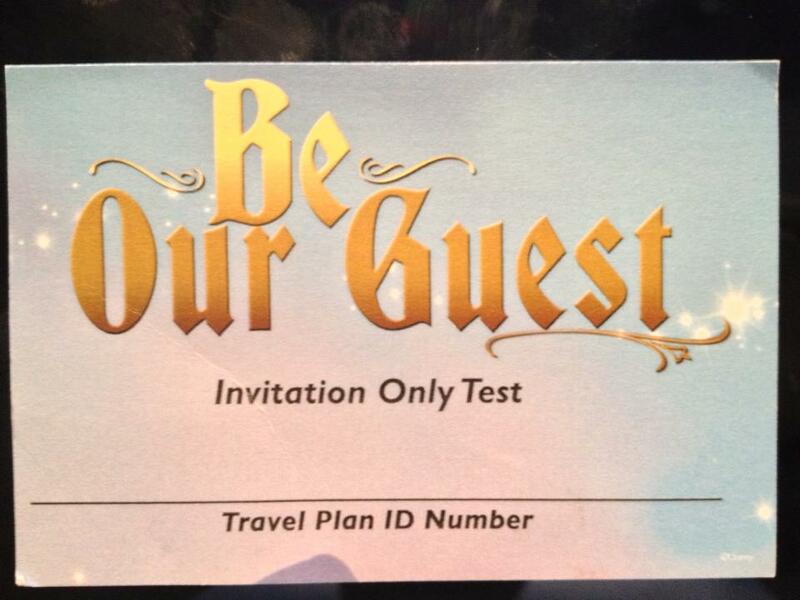 Upon arriving at Be Our Guest during the specified arrival window, the lucky guests who get picked for the trial will receive expedited service for lunch. As with all things Disney, dates and offerings are subject to change without notice. 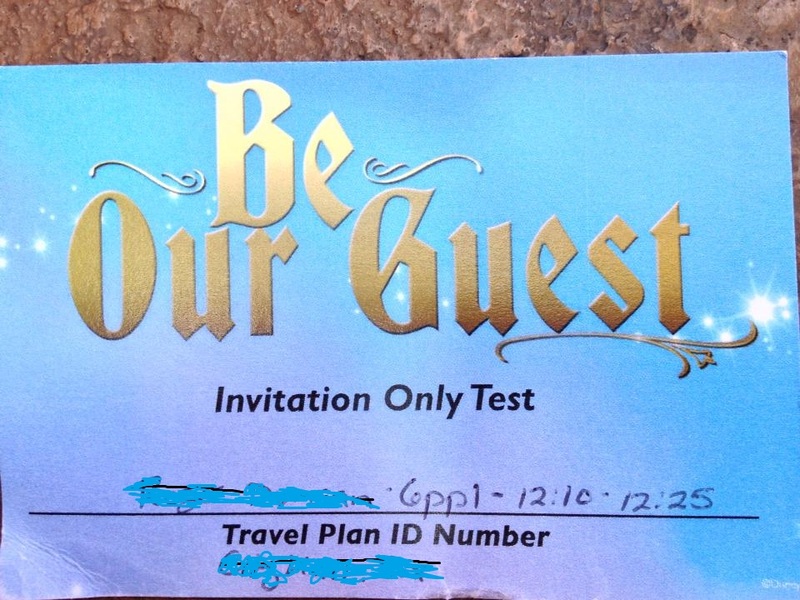 Theme park admission is required to dine at Be Our Guest. The grey stuff, although delicious, is not available during lunch hours. Click here to see the March 9th Grand opening video of the Rapunzel Tower’s big reveal! We have 2 new rumors to share with you today regarding Rapunzel’s tower! The latest rumors indicate the tower WILL be home to a new meet and greet area for Rapunzel, despite earlier indications that we would be seeing Rapunzel in the new Princess Fairytale Hall, which is yet to be completed. The second, and perhaps most exciting new rumor is that the Rapunzel area will open in just a few days – on February 25th – at the Magic Kingdom, and that it will connect Small World and the Haunted Mansion. It won’t be long before we will know if this rumor is true! What are your thoughts? Do you have any new information to share?